Red 40 Lake: It was given a “caution” by the Center for Science in the Public Interest (CSPI). They say that the dye is among the most tested, and that tests are still inconclusive. However, it can cause allergy-like reactions. Blue 2 Lake: According to CSPI’s Chemical Cuisine, animal studies found some (not conclusive) evidence that it causes brain cancer in male rats. FDA says no harm though. Note on Food Dyes: Some research suggests food dyes (or Lakes, which are non-water-soluble dyes) are linked to behavioral issues in children. In fact, the FDA is considering whether to ban certain food dyes. Calcium Stearate: It is used to make lubricants and cosmetics. It’s not soluble in water and has been compared to the foam that is made when soap mixes with water. According to CSPI, it’s not harmful. Ingredients: Milk chocolate (sugar, cocoa butter, chocolate, skim milk, lactose, milkfat, soy lecithin, artificial flavor), peanuts, corn syrup, sugar, milkfat, skim milk, partially hydrogenated soybean oil, lactose, salt, egg whites, chocolate, artificial flavor. May contain almonds. Skim Milk: It’s the lowest in fat ­ nice ­ and has calcium, which is good for the bones. Sugar: Too much sugar is not a good thing. Corn Syrup: Another name for liquid sugar. According to the CSPI’s Chemical Cuisine, corn syrup, which consists mostly of dextrose, is a sweet, thick liquid made by treating cornstarch with acids or enzymes. Corn syrup has no nutritional value. Partially Hydrogenated Soybean Oil: It creates trans-fat, which increases heart disease. Peanuts: They are a great source of protein, with lots of #health benefits. 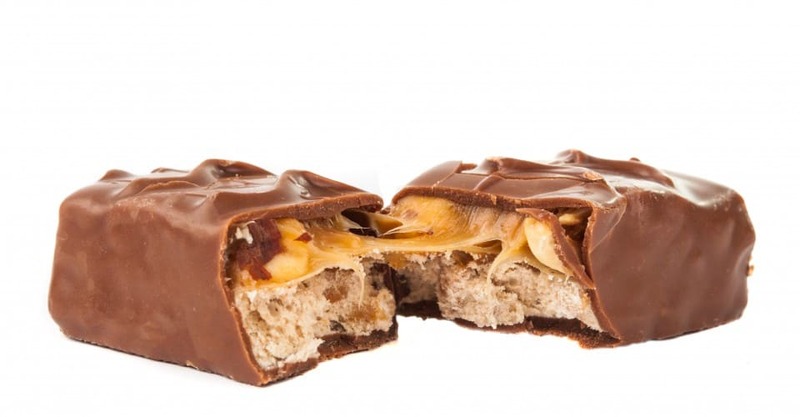 One of the nice ingredients in Snickers, as long as your child (or his/her friends) is not allergic to peanuts. Ingredients: Corn syrup, dry-roasted peanuts, sugar, molasses, partially hydrogenated vegetable oil [cottonseed, soybean], soy lecithin, salt, mono & diglycerides, hydrogenated vegetable oil [rapeseed, cottonseed & soybean], glycerin and natural flavor. Partially Hydrogenated Vegetable Oil: Not good. 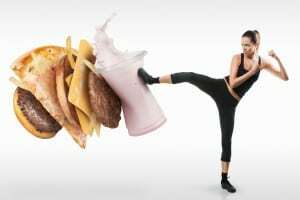 More dangerous than saturated fat and increases risk for heart attack. Ingredients: Sugar; wheat flour; nonfat milk; cocoa butter; chocolate; palm kernel oil; lactose (milk); milk fat; contains 2% or less of: soy lecithin; PGPR, emulsifier; yeast; vanillin, artificial flavor; salt; sodium bicarbonate. Polyglycerol Polyricinoleate (PGPR): Sounds very bad, but according to CSPI, “It stabilizes low-fat, high-water margarines and helps the ‘flow properties’ in candy production,” and is safe. Palm Kernel Oil: Extracted from the palm seed (not to be confused with palm oil, which is from the fruit and is 80 percent saturated fat), it has some benefits, such as vitamin E and oleic acid. Yes, it’s candy, but still, compared with the others it’s better than I thought. Ingredients: Corn syrup, sugar, hydrogenated palm kernel oil and/or palm oil, fruit juice from concentrate (apple, strawberry, lemon, orange, cherry), less than 2 percent citric acid, dextrin, gelatin, food starch-modified, natural and artificial flavors, ascorbic acid (vitamin C), coloring (Red 40, Yellow 6, Yellow 5, Blue 1). Sugar and corn syrup: See above. Gelatin: This is the same thing used to make JELL-O. It’s a protein acquired from animal hides and bones. Red 40 Lake, Yellow 6 Lake, Yellow 5 Lake: See above. Ingredients: Corn syrup; enriched wheat flour (flour, niacin, ferrous sulfate, thiamin mononitrate, riboflavin and folic acid); sugar; cornstarch; contains 2 percent or less of: palm oil; salt; artificial flavor; mono and diglycerides; citric acid; potassium sorbate (preservative); artificial color (Red 40); mineral oil; soy lecithin; glycerin. Glycerin: According to CSPI’s Chemical Cuisine, this maintains water content in a food. It’s used as a source of energy and is considered safe. Red 40 Lake: See above. Sugar and Corn Syrup: See above; not good, obviously. Salt: Used as a preservative and for flavor. There is tremendous debate about whether salt can be detrimental to your health. Malic Acid: Safe, brings out tartness in foods and is abundant in in apples. Citric Acid: Also safe, and used to create a tart flavor. Red 40 Lake, Yellow 6 Lake, Yellow 5 Lake, Blue 1 Lake: See above. Ingredients: Milk chocolate (sugar; cocoa butter; chocolate; nonfat milk; milk fat; lactose; soy lecithin; PGPR, emulsifier); peanuts; sugar; dextrose; salt; TBHQ (preservative). Peanuts: Got to love them, unless you’re allergic. Dextrose: A type of sugar. TBHQ (Tert-Butylhydroquinone): Prevents foods from going rancid.